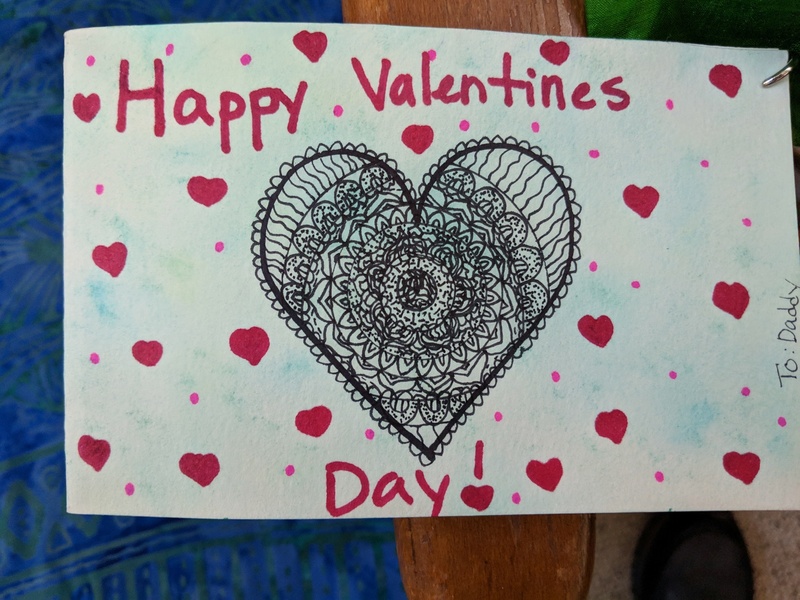 Mandala Valentine’s Day Card (2019) — By Teischan (12). This was my Valentine’s Day card — created by her on the day while we were gone for an appointment. As with all her work — it is pretty amazing. She can now dash these off in no-time. The blinking-beautiful Chinese umbrella, which she finished last week, however, remains her current masterpiece until she decides that she wants to surpass that.